With its extra low walk through access, the BR31 Recumbent Cycle merges user friendly ergonomics with modern performance features. A wide selection of programs to challenge yourself compliment the easy to use controls. The comfortable mesh material of the seat back allows for better ventilation which keeps the user cool. 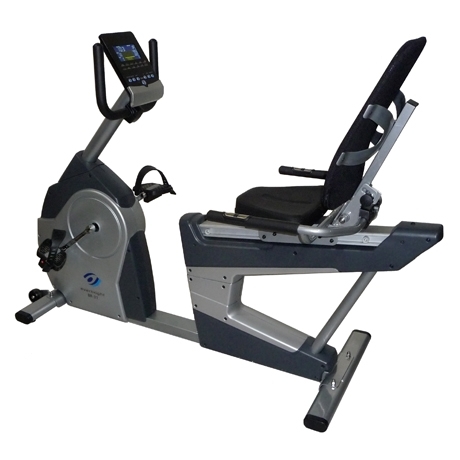 A large easy to read LCD monitor displays workout time, speed, distance, watt, RPM, calories burned and pulse(HR). Pulse is transmitted to the console by the touch sensors which are conveniently placed on the handrails by the seat.